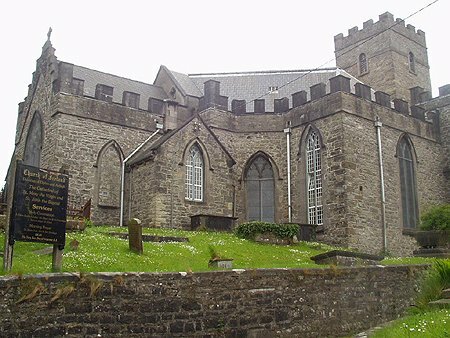 A much modified Georgian Cathedral with Victorian glass and fitttings from 1890, the Cathedral of St. Mary the Virgin and St. John the Baptist, John Street, is the oldest building still in continuous use in Sligo Town. In the 1800’s the church underwent more renovations. The windows were replaced with the gothic style arches. It is from this period that many of the beautiful stained glass windows stem. St. John’s contains four memorials to the maternal family of W. B. Yeats. A stained glass window (1901) in memory of his grandparents, a brass communion rail in memory of his uncle, and bronze tablets in memory of his uncle and mother.